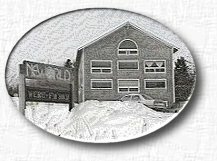 NEWORLD ‘began’ about 25 years ago in a large (136’ x33’) four story henhouse located in Blue Hill Falls, a small town on the coast of Maine. The eight track recording studio became operational in 1976 and was the home of Noel Paul Stookey’s early solo recording projects as well as those of outside talents, (the most notable being DAVID MALLETT). As the building’s facilities continued to expand, so did its attraction to the surrounding artistic community and over the next ten years the modest recording facility attracted performers from all over the world. The NEWORLD personnel in those early days consisted essentially of just three people; Noel Paul Stookey, (the ‘Paul’ of Peter Paul and Mary ), Stu Davis, (a ‘folkie’ , interested in learning about the engineering-recording process) and Elaine Sutherland (who lent her organizational skills to the clerical, scheduling, and road managing for Noel and the Bodyworks Band; occasionally doing backup vocal chores). Living in nearby Surry, I joined this ever-expanding (and seldom predictable) group as an accountant/bookkeeper and, though I missed out on those early renovations to the henhouse I would nonetheless often hear about the ‘glory days’; the wielding of hammers instead of typewriters, paint brushes or guitar strings. By the early 80’s, the large building had been essentially ‘cut in half’ to its present 66’ length and featured both audio and mechanical shops capable of on site repair, research and development. Initially host to a multi-track recording studio, billing and marketing offices, the NEWORLD location would eventually boast a working animation office suite complete with its own airtight, vibration-reduced rack-mounted camera room, darkroom, story board and conference areas and offices, plus two complete apartments, and a workshop carved out of the cavernous sprawling basement for Noel Paul’s father, Nick! In it’s heyday, the ‘henhouse’ was always full of animators from the states and nearby Canada , mimes, artiste’s, carpenters and technicians; all called to the pristine beauty of the coast of Maine and to share Noel’s vision. We were often entertained by the animator/musician and humorist Tim Sample and the energetic challenging wit of the NEWORLD publicity agent, Louie Mitchell. Moved by the talents of Paul Trowbridge, David Snyder, Bob Wilson (did I mention he made a mean mustard sandwich and was always willing to share), Grady Holloway, Reg Bennett, Deborah Brewster, Karen Frangoulis…the list of people who slipped in and out of the building over the years is so much longer and every one who came and went added to and was enriched by the creative environment. By the mid 80’s the henhouse ‘family’ had grown to include a non-profit listener-supported radio station, WERU. Nonetheless, after rejoining Peter and Mary, Noel Paul found he was spending less and less time in Maine. The recording studio languished. The animation group went its separate ways. The radio station (which by then was occupying the entire 1st floor) moved to it’s own facilities. Following four years of study at Harvard Divinity School, Noel Paul’s wife Betty was selected in 1997 as the Chaplain for the NORTHFIELD MT HERMON school and Noel and Betty moved to Massachusetts, leading to the sale of the Henhouse to it’s new owner Andrea Hendrix.